Baanklangdoi Hotel Resort & Spa - Hang Dong, Chiang Mai, Thailand - Great discounted rates! 7.0 out of 10 based on 21 verified user reviews via Agoda. Set in a prime location of Chiang Mai, Baanklangdoi Hotel Resort & Spa puts everything the city has to offer just outside your doorstep. Featuring a complete list of amenities, guests will find their stay at the property a comfortable one. Free Wi-Fi in all rooms, car park, room service, airport transfer, meeting facilities are on the list of things guests can enjoy. Guestrooms are designed to provide an optimal level of comfort with welcoming decor and some offering convenient amenities like air conditioning, desk, in room video games, internet access Â?Ã?Ã? wireless (charges apply), inhouse movies. 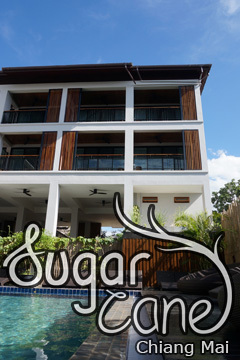 Take a break from a long day and make use of outdoor pool, massage, solarium, garden, karaoke. Baanklangdoi Hotel Resort & Spa is an excellent choice from which to explore Chiang Mai or to simply relax and rejuvenate. Baanklangdoi Hotel Resort & Spa - Chiang Mai classifies itself as a 2.5 star hotel.